This colorful, mayonnaise-buttermilk dressed coleslaw can be made in just a few minutes. 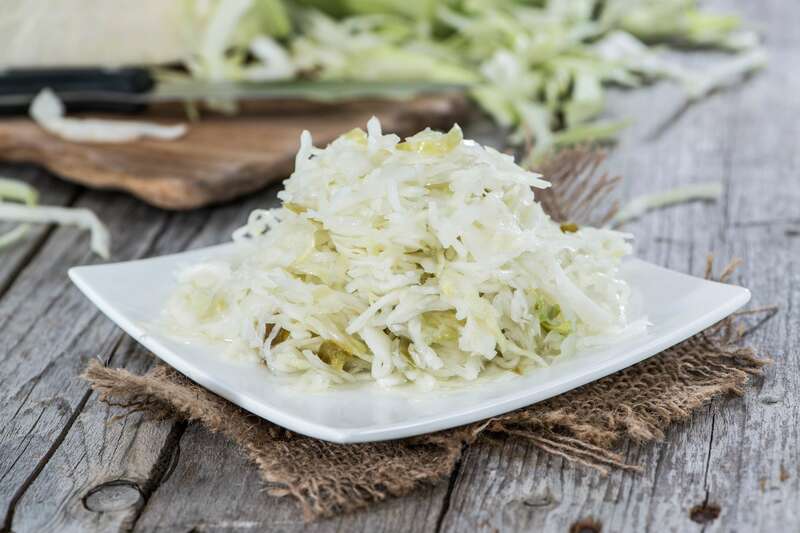 Use preshredded cabbage if you are looking for easy recipes for beginners and want to make it even quicker. RecipeSavants.com This colorful, mayonnaise-buttermilk dressed coleslaw can be made in just a few minutes. Use preshredded cabbage if you are looking for easy recipes for beginners and want to make it even quicker. Smart Recipes, American Recipes, Vegetables Recipes, Recipes Vegetables American Creamy Cole Slaw PT15M Serves 12 Ingredients: 0.5 Cup Mayonnaise 0.33 Cup Granulated Sugar 0.25 Cup Milk 0.25 Cup Buttermilk 2.5 Tablespoons Lemon Juice 1.5 Tablespoons White Vinegar 0.5 Teaspoon Salt 0.125 Teaspoon Pepper 8 Cups Finely Chopped Cabbage 0.25 Cup Shredded Carrot 0.5 Cup Minced Onion In a mason jar combine the mayonnaise, sugar, milk, buttermilk, lemon juice, vinegar and salt & pepper (to taste) and shake to mix. In a large bowl combine the cabbage, carrots and onions. Toss the dressing with the cabbage mixture. Refrigerate for at least 2 hours, more is better. A salad need not be complicated to be attractive & delicious! 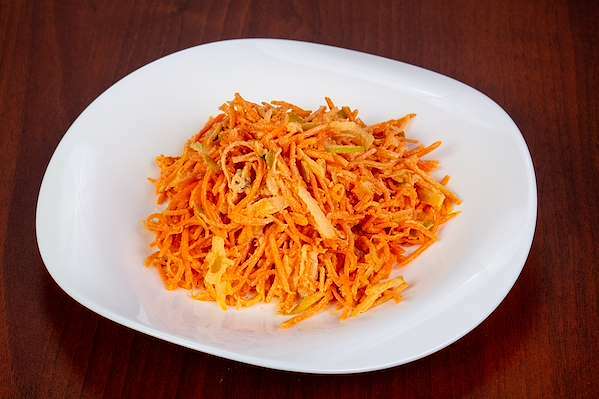 My easy carrot slaw recipe features shredded carrots and savory scallions in a tasty Dijon dressing. It would be a colorful side dish for any meal. The sweet and sour flavors of coleslaw have always been complementary to grilled meats. 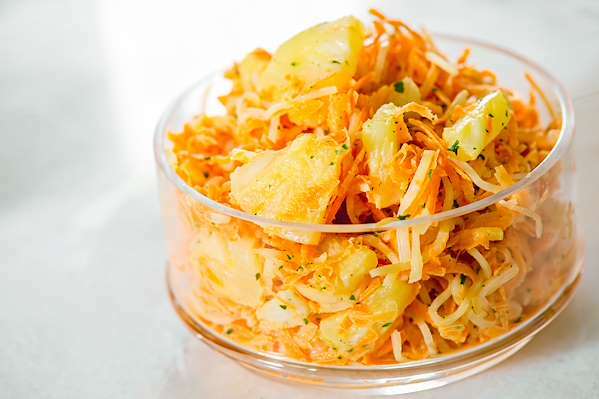 Amp up your traditional slaw with this recipe that adds a tropical flair. The tangy-sweet chunks of pineapple and zesty red onion bring color and an unexpected burst of flavor to this classic barbecue side dish. This quick upscale coleslaw has green and red cabbage, shredded carrots, tangy yogurt dressing, chopped bacon, tart apples and sweet dried cranberries. 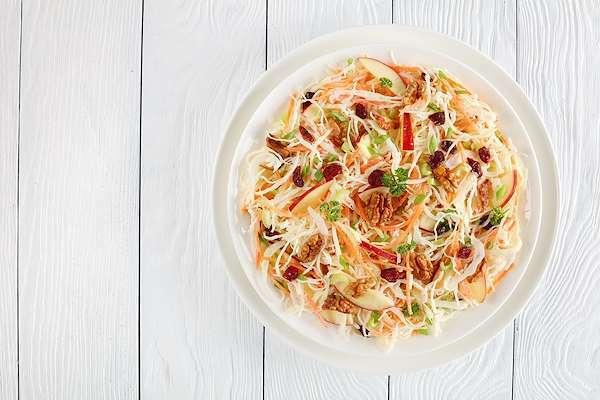 This Apple Bacon Coleslaw is perfect for any BBQ or pinic and pairs well with hot dogs, hamburgers or any traditional summer BBQ dish. 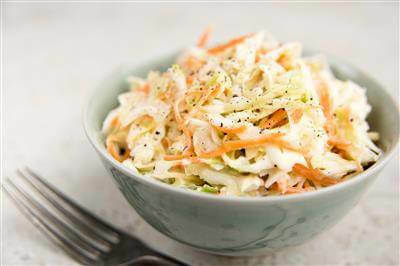 This coleslaw features a vinegar mustard dressing instead of the traditional mayonnaise base. It is tangy and light, and pairs well with steaks or sandwiches. We recommend that chill this slaw overnight, to allow the flavors to fully meld.